When you eat fish, it may contain tiny pieces of plastic. And without even knowing it, you may be adding to the plastic pollution that is washing into oceans and winding up in the fish we eat. That fluffy fleece jacket? Every time you wash it, little bits of plastic fibers are washed down the drain. Your toothpaste and body wash? If they contain microbeads, those tiny sand-like fragments of plastic also are part of the problem. Plastic is everywhere. It’s cheap and convenient but comes with a growing environmental cost. 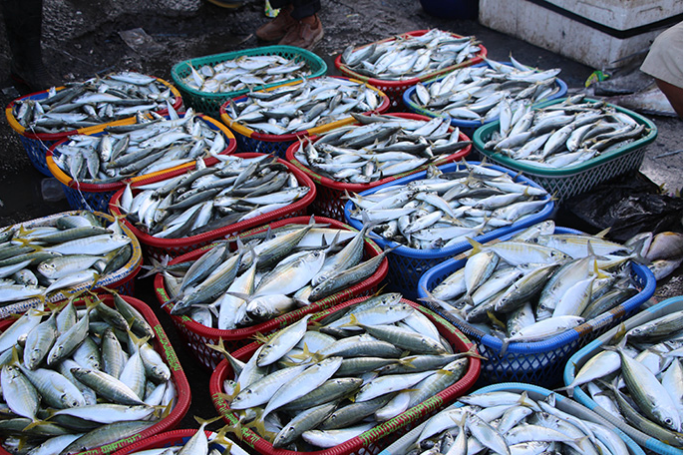 Roughly a quarter of the fish sampled from fish markets in California and Indonesia contained human-made debris — plastic and fibers from textiles, according to a study led by Rochman while at UC Davis. Rochman, one of the first to directly link plastic in the oceans to the fish on our dinner plates, spoke on the subject last week at the Monterey Bay Aquarium Sustainable Foods Institute and at Secretary of State John Kerry’s Our Ocean Conference. What consumers may not realize, however, is that the plastic debris ingested by fish comes not only from industrial activities, litter, landfill runoff and sewage overflows, but from everyday household activities like washing clothes. One of the primary culprits: Fleece jackets. UC Santa Barbara researchers have found that synthetic fleece jackets release, on average, 1.7 grams of microfibers each wash, with the most shedding caused by older, lower-quality jackets cleaned in top-load washing machines. These microfibers then travel to your local wastewater treatment plant, where up to 40 percent of them enter into rivers, lakes and oceans. The amount of microfibers released by laundering 100,000 fleece jackets is equivalent to up to 11,900 plastic grocery bags, according to the UC Santa Barbara study, commissioned by Patagonia to better understand the problem and get ahead of the issue. Microbeads are another source of plastic pollution. The tiny, sand-like grains of plastic are used in hundreds of household products, often as abrasive scrubbers, including face washes, body washes and toothpaste. They are too small to be efficiently filtered by wastewater treatment processes and have been found in aquatic habitats and fish. Billions of microbeads are washed down household drains every day. In just the San Francisco Bay estuary, for example, it is estimated that more than 471 million microbeads are released into the bay every single day, according to a policy brief by Rochman. Once there, the microplastics act as a sponge and soak up other chemicals in the sea, increasing their toxicity. Rochman and her team’s work was instrumental in California and federal bans on microbeads. The federal ban on microbeads in personal care products, signed into law by President Obama in December 2015, will begin to take effect in mid-2017. The federal ban covers microbeads in toothpaste and “rinse-off” products, but does not cover those in makeup or nail polish. Until they are phased out, consumers can take action by avoiding personal care products that contain polyethylene, polypropylene or nylon – the most common materials used in microbeads. So just how concerned should we be about the plastics we consume in fish? Rochman, who has a bachelor’s degree in biology from UC San Diego and doctorate in ecology from San Diego State and UC Davis, conducted postdoctoral research at UC Davis and the University of Toronto, where she now is an assistant professor. She next plans to study the health impacts of plastic debris on humans and fish.